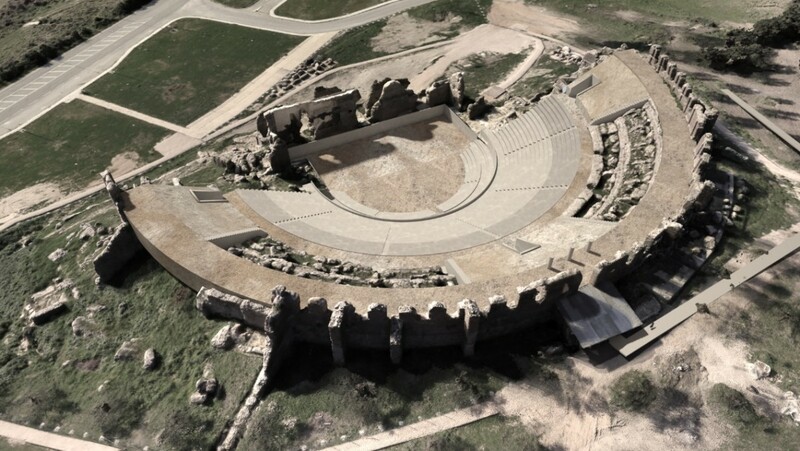 The Roman Theater of Nicopolis is characterized by the unique blend of elements of Greek and Roman architecture. The theater’s cavea stretches both on the natural slope of the hill, according to Greek standards, as well as on stone-built infrastructure, according to the Roman retaining system. Three successive semi-circular vaulted galleries of increasing height from the inside to the outside were constructed to position the upper part of the cavea. The outside gallery was inaccessible, while the two internal ones were also used as walkways of visitors. Arounbd the cave from the outside – for the monument’s best protection – a tall curved wall was built, which was periodically reinforced with struts to resist the compression of the construction. At the ends and in the middle of that wall were three entrances to the cavea. In the upper part of the cavea, a perimetric gallery with openings and niches was formed. The orchestra, like the hollow, had the shape of a regular semicircle. On the façade of the two-storey stage building there were three apse-shaped entrances. Floor plans of the Roman Theater have been designed by traveler T. L. Donaldson. There is suffiient photographic documentation (33rd EPCA archives). 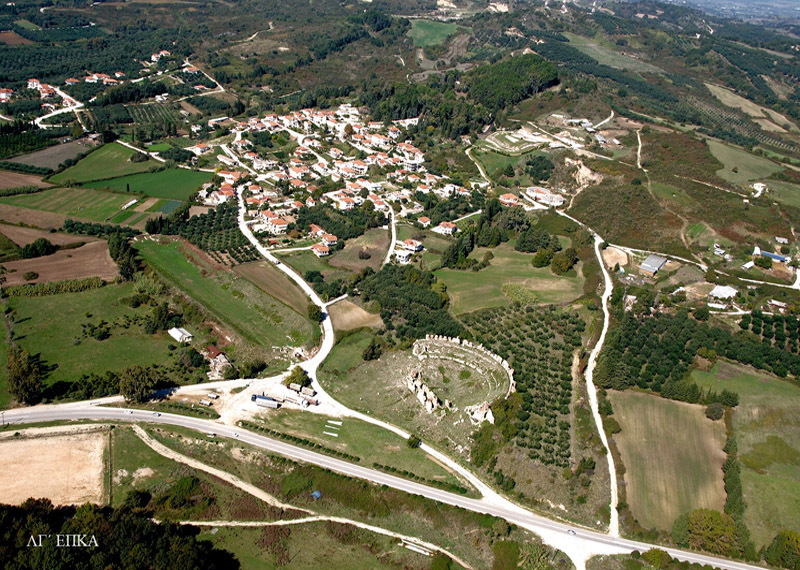 Nicopolis Settlement (Smyrtoula), City of Preveza, Prefecture of Preveza. 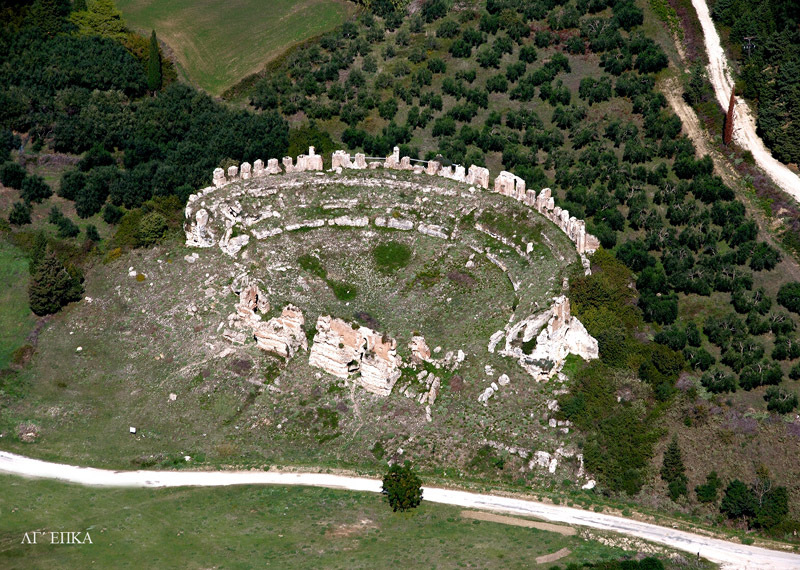 The theater was built in the early 1st century AD, along with other public buildings in the city. According to the scholars, in the 2nd century BC it probably underwent extensive repairs and reconstruction works. Natural and anthropogenic factors have contributed to the gradual deterioration of the monument. Strong cracks are observed on the wall outside the theater’s cavea as well as on the façade, for which immediate protection measures should be taken. Up to now – except a small section on the theater’s stage in 1960, as well as small-scale retaining works in the superstructure of the monument that took place in the following decades by 12 th EPCA, the competent then authority for the Prefecture of Preveza – no such work has been carried out on a larger scale. Moreover, the fragmentary state of conservation of the cavea’s seats does not allow us to draw safe conclusions about their shape and number. In the near future, excavations, combined with extensive restoration work, will probably give us more insight into the monument itself and its period of use in general. 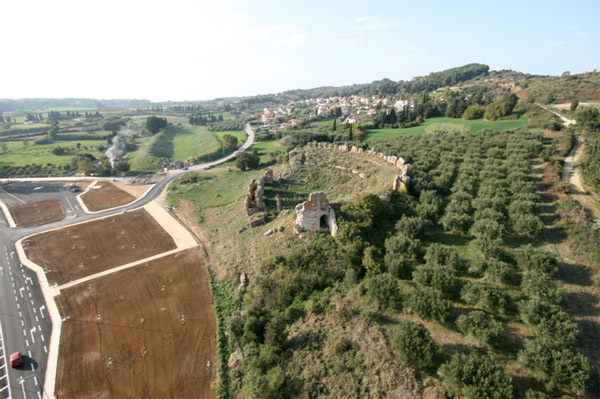 His current state of preservation does not allow the direct use of the Roman Theater. In the future, excavations, combined with extensive restoration work, will probably improve the state of the monument. At this time, only simple visits are allowed, subject to conditions, while for musical events and theatrical performances the space in front of the monument could be used. For the time being, the existing state of preservation of the Roman theater allows only simple visits to the monument, subject to conditions.